Kara Sanders and her family own and operate C.R. Melear Dairy in Zolfo Springs. As third generation dairy farmers, Kara and her brother Tommy are continuing a farming tradition that started in the 1930s. Today they milk more than 2,400 cows on their 7,600-acre farm in Hardee County. 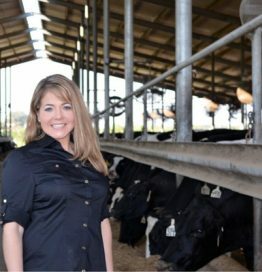 Kara is involved in many community and dairy industry related activities and currently sits on the Florida Dairy Farmers board of directors as well as the Florida Beef Council. She is a graduate of Auburn University and a member of Class VI of the prestigious Wedgworth Leadership Institute.